Professionally-installed after-market accessories and alterations shown. Law enforcement agencies demand more than just peak performance from their police vehicles. 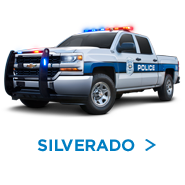 The diverse, reliable Police Pursuit Vehicles (PPV) and Special Service Vehicles (SSV) from Chevrolet deliver on all fronts—interior room and impressive cargo capacity. 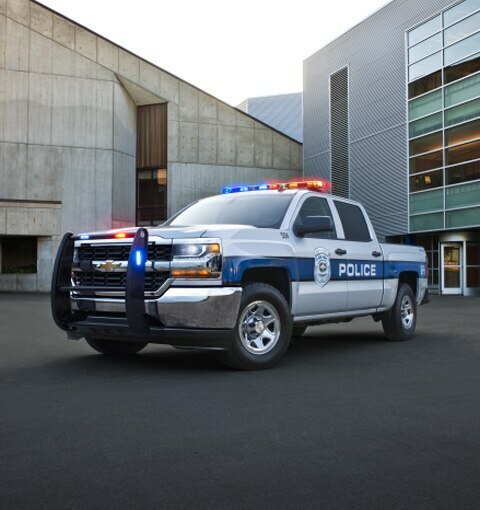 Chevrolet commands authority with its diverse, reliable PPV and SSV. The lineup includes the Tahoe two-wheel drive and available four-wheel drive PPV; the Silverado 1500 Crew Cab Special Service in WT and LS trim levels; and Impala LS V6 sedan. The Tahoe 4WD is the first automatic 2-speed transfer case four-wheel drive Police Pursuit Vehicle (PPV) and the only body-on-frame full-size SUV built for extreme pursuits. Also available are the two-wheel drive PPV and four-wheel drive Special Service Vehicle (SSV) models that combine performance, utility and safety into one reliable package. Proven performers built with heavy-duty, specialized components, Silverado 1500 Crew Cab Special Service WT and LS answer the call for rugged capability under just about any conditions. 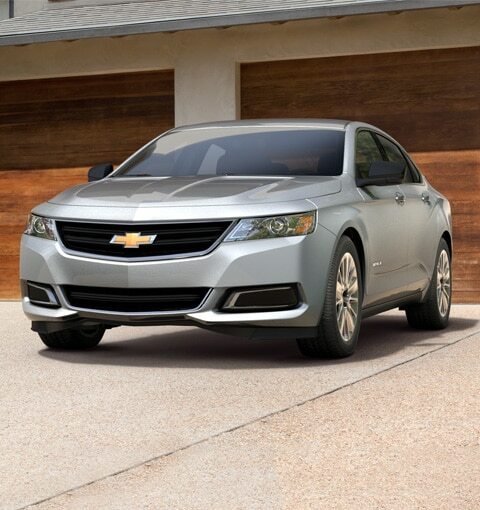 Ideal for government and administrative use, the Impala is the full-size sedan that was made to take on the town. Impala gives you plenty of intelligently placed storage inside a spacious, comfortable interior along with the assurance of 10 standard airbags4 5. We know the community relies on you and that’s why you can rely on us. 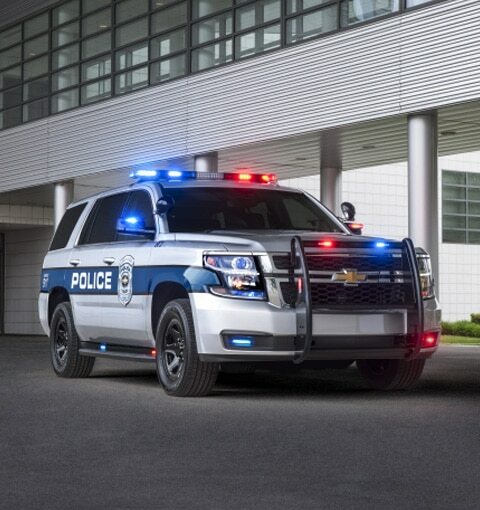 As always, safety is paramount and GM police vehicles come with numerous safety and security features designed to help you avoid a collision in the first place, including the StabiliTrak® Electronic Stability Control System and an Antilock Brake System (ABS). Should the unavoidable occur, features such as a minimum of six airbags4 5 with Passenger Sensing System and a robust safety cage construction can help protect you. Designed-in functionality and versatile spaciousness accommodate both passengers and cargo to help make daily patrols more productive — and add welcome convenience. You’ll appreciate the practicality of a column-mounted shifter, spacious seating area and large cargo space to accommodate necessary police equipment and other gear. 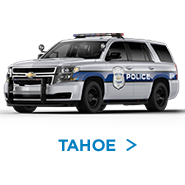 When keeping connected is a matter of critical importance, GM police vehicles are designed to have you covered. With advanced technology (standard or available) that helps keep you in control and on the right path, each vehicle in our lineup is designed with your convenience in mind. 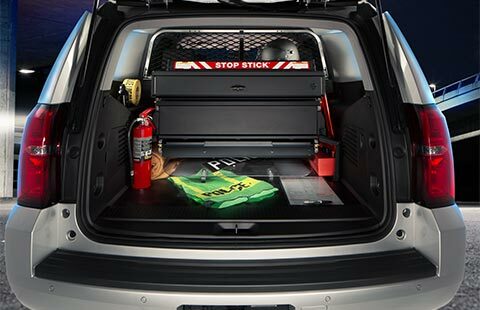 Keep connected with features such as Bluetooth®2 hands-free connectivity, standard on Tahoe PPV, available on Silverado SSV standard auxiliary battery on Tahoe PPV and Silverado SSV; and a Rear Vision Camera3, standard on Tahoe PPV, available on Silverado SSV. § Professionally-installed after-market accessories and alterations shown. IMPORTANT NOTE ABOUT ALTERATIONS AND WARRANTIES: Installations or alterations to the original-equipment vehicle (or chassis) as distributed by General Motors are not covered by the General Motors New-Vehicle Limited Warranty. The special body company, assembler, equipment installer, or upfitter is solely responsible for warranties on the body or equipment and any alterations (or any effect of the alterations) to any of the parts, components, systems, or assemblies installed by GM. GM is not responsible for the safety or quality of design, features, materials, or workmanship of any alterations by such suppliers. 2. 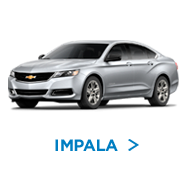 Visit mychevrolet.ca to find out which phones are compatible with the vehicle. 3. 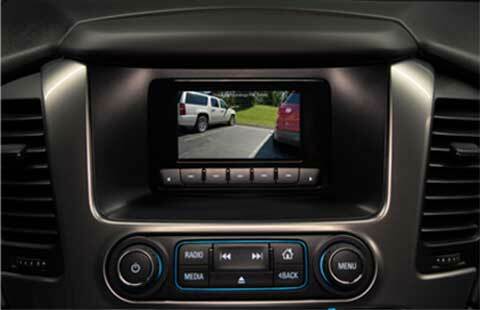 Read the vehicle owner’s manual for more important feature limitations and information. TRADEMARKS: Bluetooth is a registered trademark of Bluetooth SIG, Inc. Wi-Fi is a registered trademark of Wi-Fi Alliance.